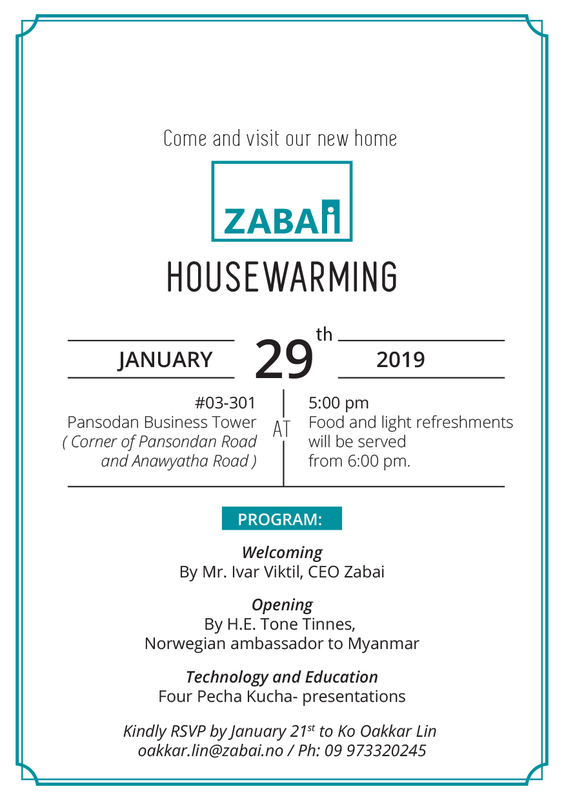 Zabai held office warming party and a small seminar on e-learning on 29th January 2019 in their brand-new office at Pansodan Business Tower. 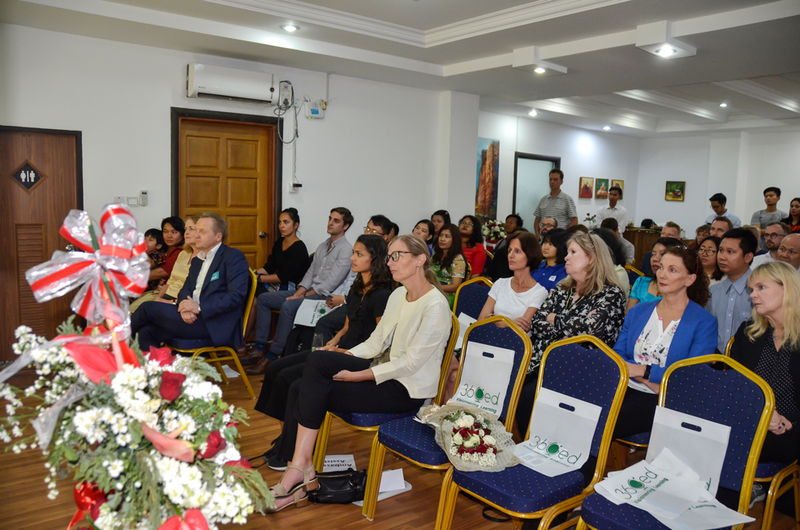 A total of 60 invited guests from prominent NGOs, local and international companies and educational institutions were present at the event which begun with a speech from Ms Tone Tinnes, Ambassador of Norway. 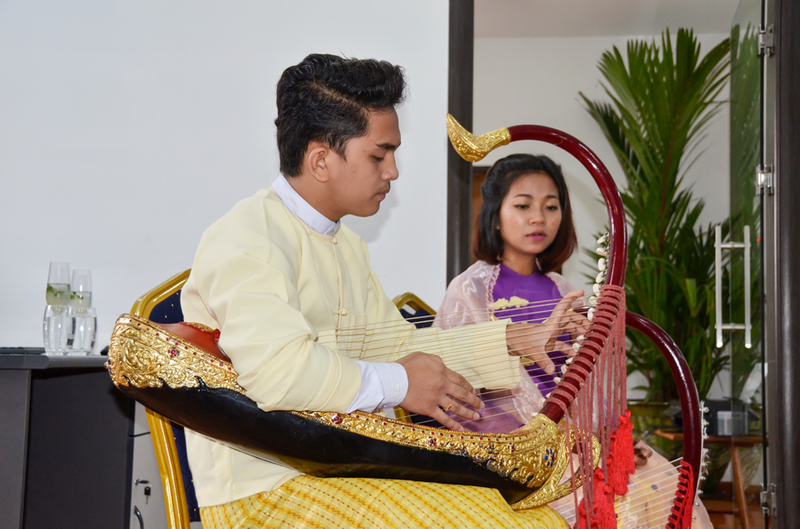 Located on the Corner of Pansodan Road and Anawyatha Road, Zabai is a relatively new company with a core mission to provide high-quality education for young people in Myanmar. The education will be provided through e-learning, video lessons and blended learning distributed through a platform specifically created for developing countries. Ivar Viktil, Managing Director of Zabai, gave a presentation about Zabai’s missions and coming projects. 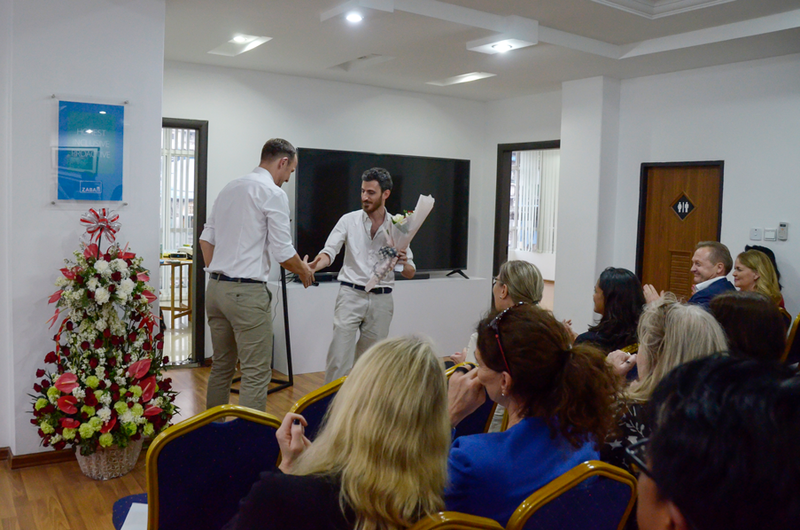 “Nothing can replace a good, qualified and caring teacher and we would like to make the best teachers available on the phones by providing quality content through a reliable technology platform”, said Ivar during the presentation. 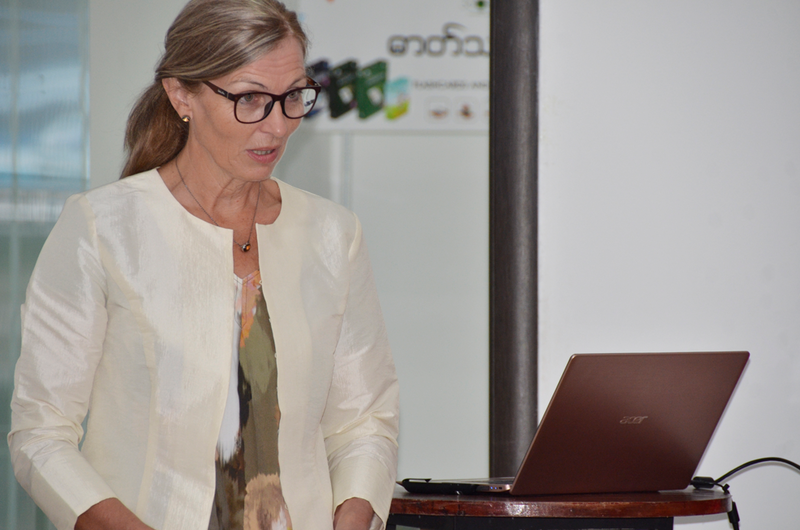 Ms Hla Hla Win, founder of 360ed provided a talk on “Augmented Reality in Education” which was followed by the presentation on “Better Learning Program” from Mr. Fabio Mancini of Norwegian Refugee Council (NRC). 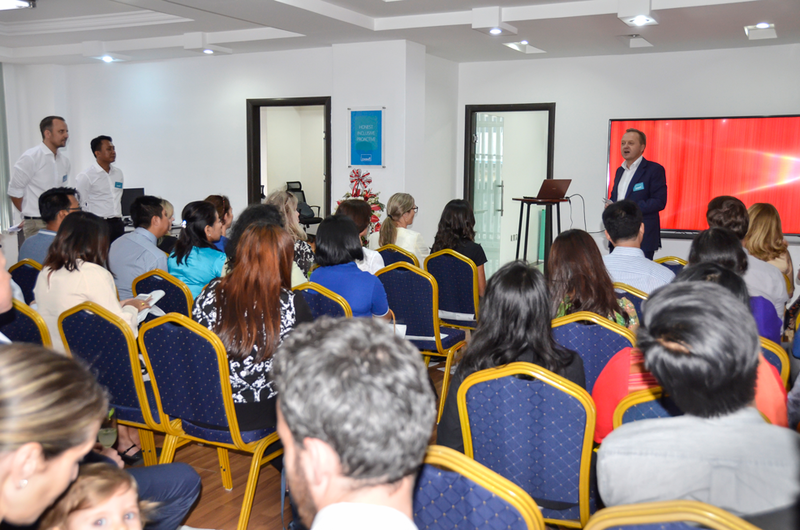 The session was concluded with a presentation on “Realizing Digital Myanmar” by Mr. Min Thu of Telenor. There were also two workshops after the event, each hosted by Zabai and 360ed, where guests were encouraged to participate and learn the available courses on standby computers. We are proudly looking forward to the official opening of our new offices downtown Yangon, Myanmar January 29th. As a part of the housewarming, we will arrange a short seminar on the subject “Technology and Education” in Myanmar. Telenor, Norwegian Refugee Council, 360ed and Zabai will each give a short presentation on this exciting topic. International Youth Day is commemorated every year on the 12 August and the theme for International Youth Day 2018 is “Safe Space for Youth”. To keep in touch with our tech-driven and interconnected world, people of different generations are using internet and social media in their everyday lives. They are using internet usage and social media for everything from taking photos of breakfast to reading business and political headlines. 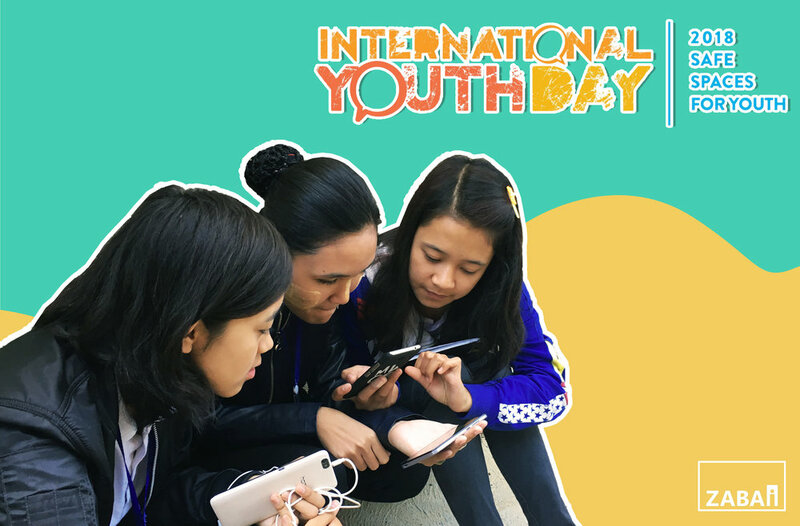 In honor of International Youth Day, we compile some helpful tips to create safe digital space for youths from all over the world. We know that everyone loves “Facebooking” but facebook requires everyone to be at least 13 years old before they can create an account. (Age requirement is same for twitter and Instagram). There are consequences of oversharing on social media. Don’t forget to protect your privacy, personal information and stay smart online. “Sign in” and “Sign out” in public computers. When using public computers in office, cybercafe or library, be sure to sign out from every email and social networking account. Create strong passwords and keep them secure. You are going to forget some passwords anyway. Don’t forget to add account recovery options by using email address or phone numbers. Think before you post. You’ve got be careful with what you post online because what you post on the internet is permanent after all (there are “Screenshot” and “Save”) and can quickly spread to other users beside your Friends and Followers. Youths from the different backgrounds need to be assured of respect and self-worth in digital space to contribute themselves to community development. Zabai has been developing new ways and rules in LMS courses to court those essences of the nation who are also known as “Youths”. Our E-learning courses are helping especially youths from the developing nations to grow in technologically connected world. In Myanmar, young people account for more than a third of the total population according to the 2014 Myanmar Population and Housing Census. This youngster group is quick in adopting tech-first based solutions to the country’s very own digital transformation. They prefer going digital in their everyday life ranging from political issues, business innovations and jobs to hiring taxi and ordering food online. Now is the time the generation finally accelerates progress in digital education to foster innovations, raise productivity and increase quality and equity in the way other sectors have. 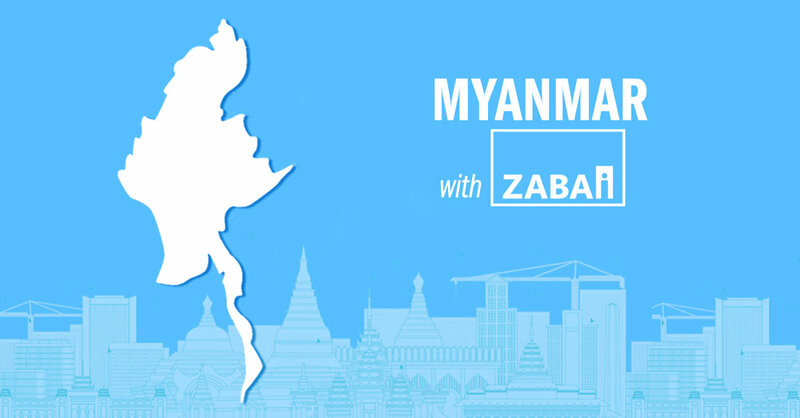 In addition to this movement, Zabai is committed to supporting much- needed resources of Myanmar e-learning environment. Our core components of the courses are created by the experts, who have 20 years experiences in e-learning industry, to enhance the life skills, cognitive skills and knowledge of Myanmar youths. Our courses are easy to learn, easy to use and easy to acquire. Moreover, the course contents are localized to identify Myanmar people needs and they are at the same time provided in English language as well as Myanmar language. Having a clear goal to provide high-quality education for people in developing countries, Zabai is now actively working together with professional associations and NGOs to promote digital education in Myanmar.